Our latest internal release includes a really cool feature, the binary file preview! You will be able to see your binary files previews inside Plastic SCM. We have included a new button in the items view in order to enable and disable the preview feature, if you click on it you will be able to see a new side panel, it will contain your workspace files thumbnails and also a section for the file attributes. 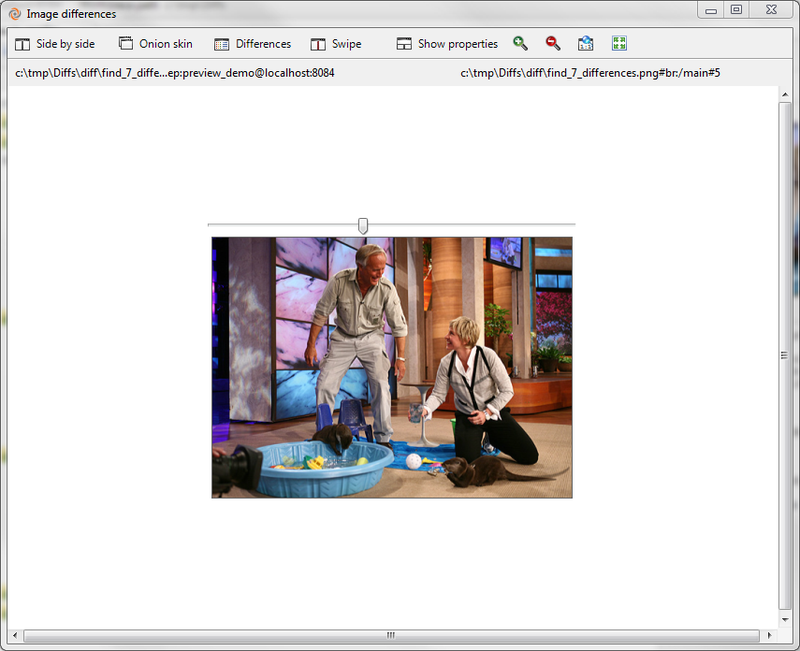 The first square is the image "thumbnail", as the Windows thumbnails this is a small representation of the original image; it's much lighter than the original one and it's stored under your workspace path "C:\...\Diffs\.plastic\preview" to be reused on future previews requests. This storage is not a pain since the thumbnails height is about 3~5KB. Each revision will have its own thumbnail file, the thumbnails are generated when you click on a new revision file and you have the preview panel opened. If you click again on the same revision file plastic is going to use the previous generated file. Check this small video about more previews. The preview panel is not all the cool stuff! 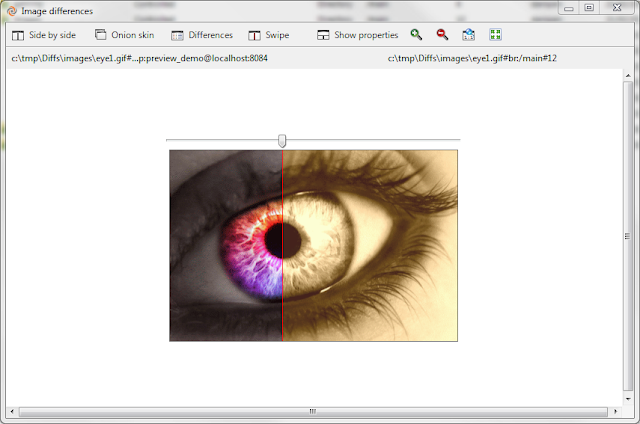 Image you are working on a image and you want to review the new changes, press Ctrl+D or right click and "Diff with previous revision". You will be able to review the changes done is many different ways! 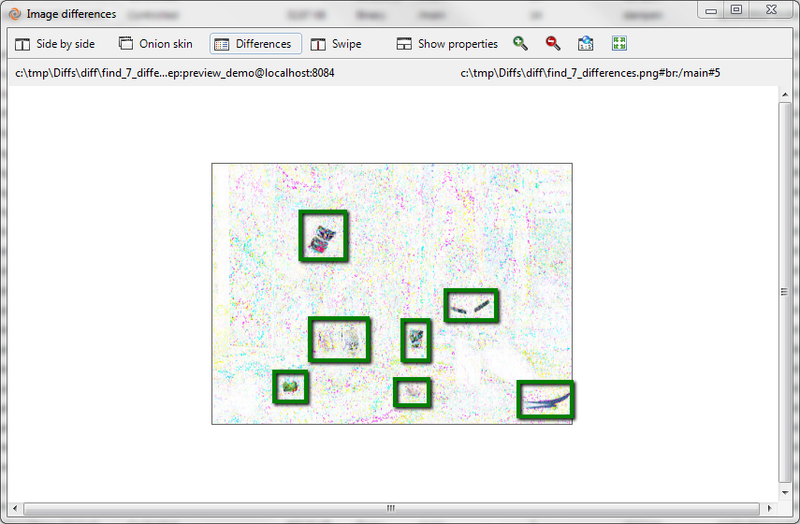 You can use the "Side bu side", "Onion skin", "Differences" and "Swipe" methods, lets check them one by one. 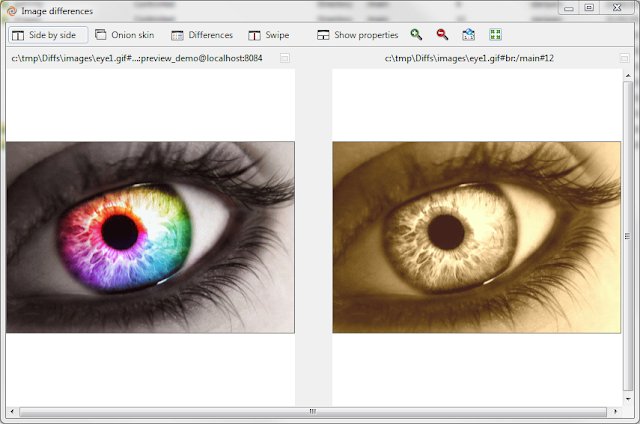 This first one is the "Side by side" method, you can see the previous revision image and also the current one, very useful if you want to see both images at the same time and decide which one is better. In contrast to the preview images that are stored locally the differences files are always calculated on the fly since video games files used to be huge. The following method is the "Swipe" way. Here you can use the splitter to swap between the two revisions and check manually the differences. Moving the splitter you will hide and show one of the two revisions. 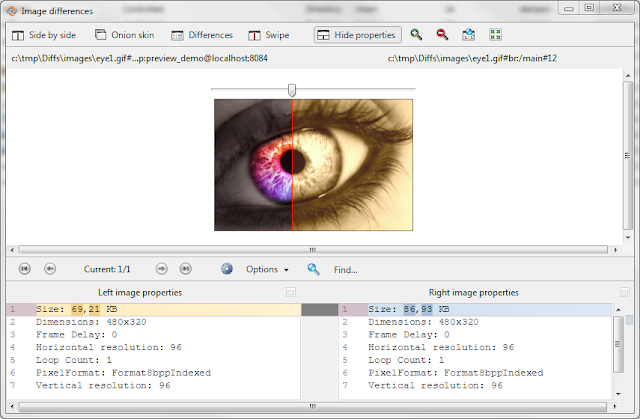 You can even see the image properties differences at the same time! click on "Show properties" button, in the following example we can review that the image size has smoothly changed in the new file revision from 69,21 KB to 86,93 KB. Ain't it cool? Imagine now that you have a "7 differences" file added into your repository, you can use the "Onion skin" method to again swap between the two revisions but this time with a nice transparency effect, you will see how all the differences will appear smoothly while you are moving the splitter. Notice that you can see two tails for the right down beaver (I think it's a beaver, maybe it's a big ferret) but one of the tails is semi-transparent, this is one of the 7 upcoming differences. The last way is directly highlight the differences between the two revisions in a raw mode, you will be able to find in milliseconds all the differences of the hardest 7 differences game! Easy right??? here you can review all the differences because they are shown as real differences!! What happens with unsupported formats?